Preface. Acknowledgements. Author Biography. Dedication. Introduction. Diagnostic Devices Part One. Diagnostic Devices Part Two. Diagnostic Devices Part Three. Anatomy Color Illustrations. Diagnostic Imaging. Treatment Devices Part One. Treatment Devices Part Two. Treatment Devices Part Three. BMET Work. A Gallery of Real Life Problems. Testers and Tools. Batteries, Radiation and more. Computers and Information Technology. Equipment Management. Medical Device Standards. Appendices. Index. 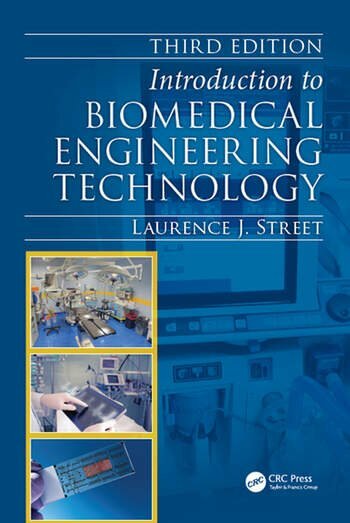 "The book presents a comfortable balance between clinical applications, basic technical information, and various pictures of medical technologies one will encounter in the field. Additionally, related anatomy and physiology principles and essential technical terms are a nice complement to the technologies presented. The everyday duties and responsibilities of a biomed are captured by the various "true-to-life" scenarios introduced throughout the book." "This book is a good resource to have for those looking at going into the field. I frequently use the book as a field marketing tool because it showcases a good variety of medical technologies using an appealing, "down-to-earth", "reader-friendly" approach."